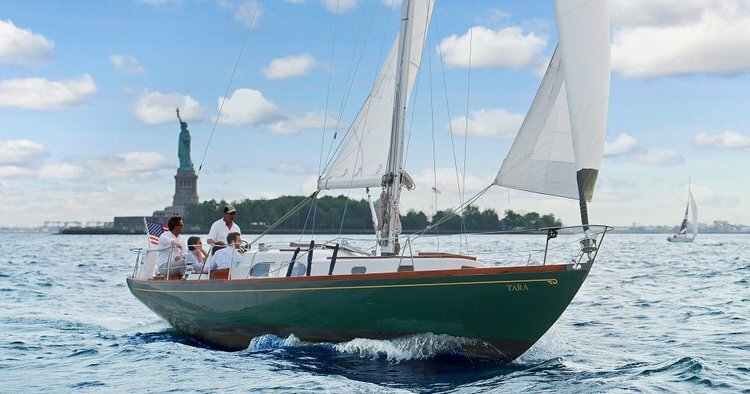 1964 Hinckley Custom Pilot 35 sailboat, designed by the famous Sparkman and Stephens design team. There are only 5 custom label Pilots 35. 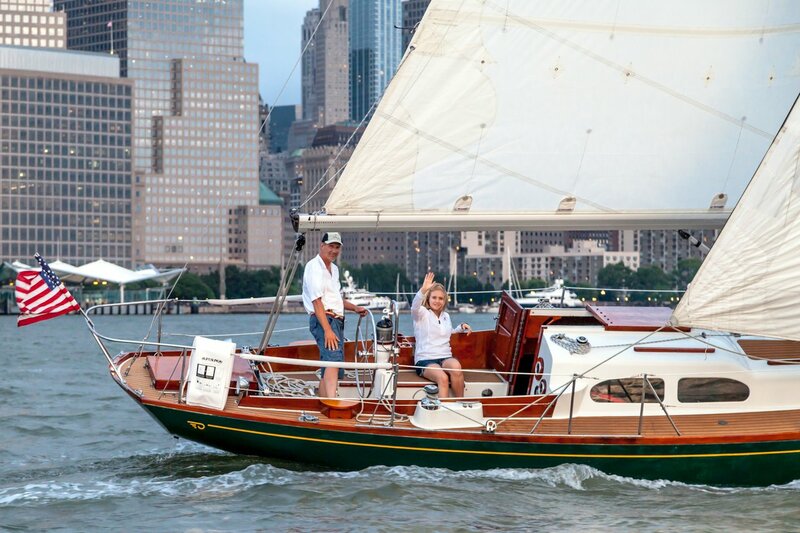 This beauty is extremely stable, comfortable and fun to sail and if the weather is an issue, the handsome varnished wood interior is available for you to enjoy in style and comfort. 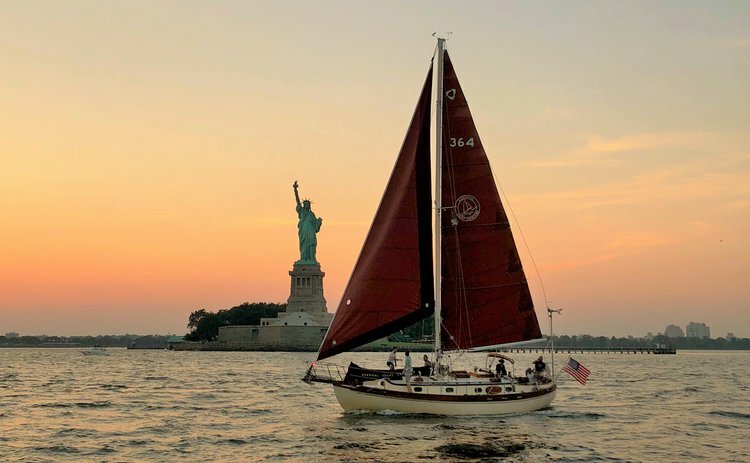 Whether you want to enjoy the New York skyline while sipping wine, learn to sail or simply escape the turmoil of NY city life, this boat is for you! PRICES INCLUDE FUEL AND CAPTAIN: $330 per hour. Capt. 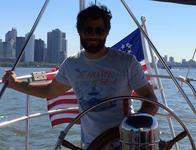 David started Tribeca Sailing in 2013 to share his joy of sailing with his customers. 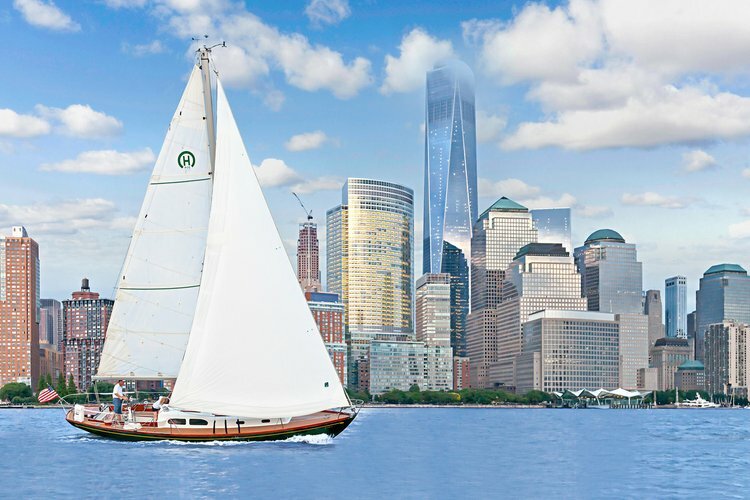 At the age of 16 he learned to sail on the south shore of Long Island and was an avid sailboat racer. 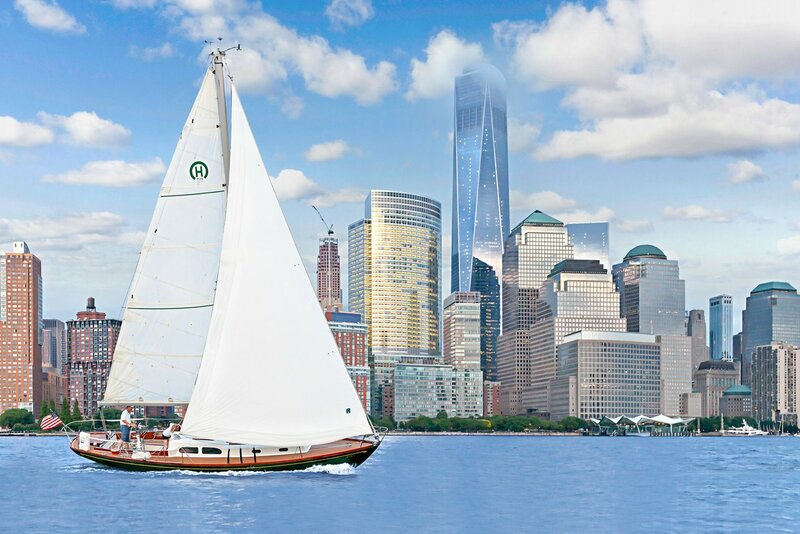 Please join him as he shares with you his love for the water and his excitement for the city. Capt. David is a USCG Licensed Master. Where does the boat pick up and drop off? 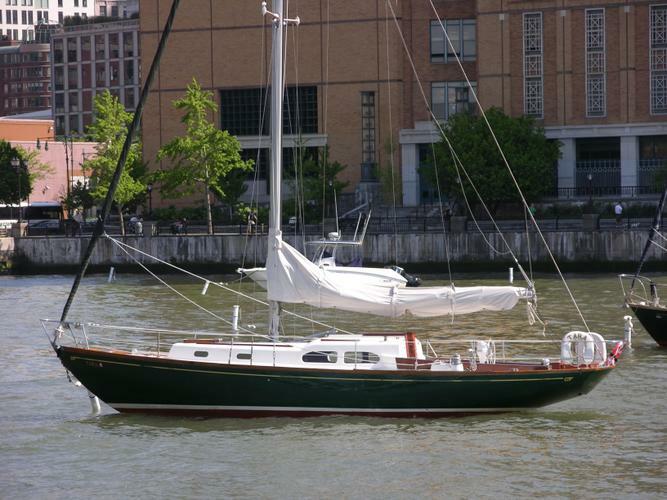 The location of this boat is located at North Cove Marina at 225 Liberty Street. On the corner of Liberty and South End Ave you will find a ramp leading down to the marina behind a security barrier. You are in the right location when you see three large flag poles at the bottom of the ramp. 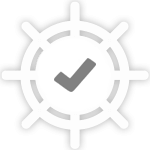 Unless extremely adverse weather conditions prevent us from leaving the dock for safety reasons, we will sail in the rain, heat, cold, humidity, etc. It is obvious that your captain will not take you out if conditions are dangerous. That being said, please keep in mind that a few clouds, or a slight chance of rain will likely not be grounds for cancellation or rescheduling. 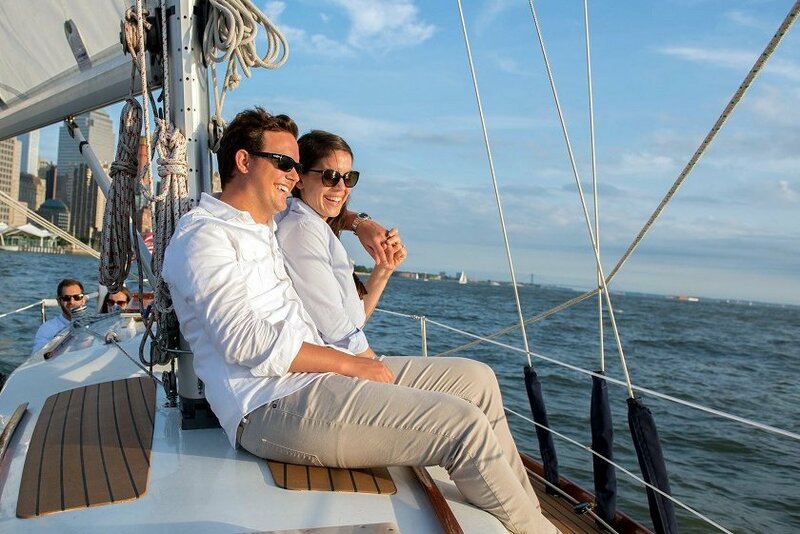 On the day of your sail, if you have any questions regarding the weather, please do not hesitate to contact the captain. Will I receive a refund if there is bad weather? How can I rent for a number of hours not available in the dropdown menu?